There will be a time when our parents won’t be able to climb up the stairs or walk properly or feed themselves. It is excruciating to think about that. However, irrespective of the pain we have to prepare them for a comfortable life in their last stages. There will be a day when our parents or the loved one will find it difficult to manage on their own. They will need help with driving, climbing stairs, or maybe even in changing clothes. As painful as thinking about this might be, we need to prepare to help them be comfortable and safe in the last stages of their lives. Here are the things to consider. Irrespective of how much we love our elders, we need to understand that they need a lot of love and care to just like a small baby and because of our busy schedules, we won’t be able to give them all that they deserve. So, it's better to be prepared for this in advance. Finding a suitable assisted living in India is not an easy feat. Mentioned below are some pointers that one should consider before finalizing upon an assisted living home. Cleanliness is one of the significant factors to be considered when looking for asenior citizen care home. Do not forget to inquire about the laundry process. Ask little questions that you would think even at home for them. For seniors, it is essential to maintain cleanliness, as they are more prone to diseases. Be attentive to whether the staff is friendly, how is their attitude towards the inmates. Visit the assisted living communities two-three times and observe the behavior pattern, interact with the inmates, ask questions and do not forget the model of the staff, their working hours, roles, last but not the least - how many people are involved mainly in the resident's care and what is the ratio of males and females participated. More than the affordability and size of facility it is essential that you have the confidence in the management and people involved. At this delicate age, it is important for the seniors to eat with a lot of precaution. It is extremely crucial for you to get an idea about the meals, and whether or not the meals customized as per the doctor’s suggestions and needs. Apart from food, you should also inquire about the easy access to clean and hygienic drinking water. Just like in our homes, we like a dining experience it significant to seniors too as to where they eat and how they eat. For this, you must discuss with the facility managers about the dining hours and experiences. If possible do taste the food they serve. Safety and security are the prime reasons and are also critical for your piece of mind. Make sure that there are enough guards at all times to monitor any questionable activity. The equipment such as walkers, walking stick, wheelchairs is at an arm’s reach. If you are visiting the assisted living care home, then make sure you ask a lot of questions about personal responsibility. Discuss the bathing options and other bathing preferences. Are the inmates appropriately dressed? Does the staff treat residents with dignity, respect and a smile? As you are touring, make sure you think about yourself or your loved one living in the community. Do you imagine you or your loved one is comfortable? Do you feel at ease? Are the staff and residents open, inviting and friendly? There will be a number of questions that will come to your mind, and you should get them all cleared in your head. Once you are double sure about the place and its facilities, only then take a decision. 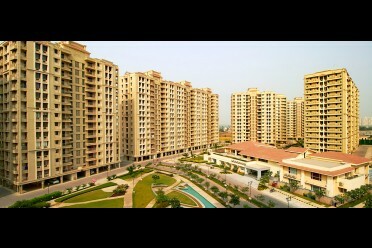 Ashiana housing has check-listed all these points and knows how to care for senior citizens. They have assisted living care homes for the elderly in various cities. To know more about our senior living project click here.